Scentsy Consultants: Below is an idea to increase your December party-plan bookings for your Scentsy business. Feel free to take what you like, and discard the rest. You would pay for the incentives, or use host rewards from your own parties you host, but the commissions you make by actually having bookings in this busy month would more than cover it. Just be certain to follow company guidelines for advertising personal specials. Book your show today on any one of the first twelve days of December and receive the item listed with the day you booked your party. All items will be added to your party order and will be received with the rest of the orders taken from your party! On the twelfth day of December my Scentsy Consultant gave to me: 12 Candle Bars for 50% off! * All prizes and awards are subject to having a minimum of $200 in sales at your show. These offers are in addition to the regular Host Program. All hosts: home party, basket portable party, and online party, need coaching from the consultant. Without coaching, you should plan on low attendance, low sales and low, if any, bookings. Many consultants who don’t coach don’t do so because they think they are bothering their host. Instead of thinking of host coaching as being a bother, consider it more that you are cheating your host out of his or her rewards if you don’t properly coach. Coaching doesn’t always work – some will let it go in one ear and out the other. But that doesn’t give you an excuse not to do it. Coach the same, each time, so you cover all your bases; don’t take short cuts. Online and basket hosts need as much or more coaching that home party hosts. The better you become at it the easier it gets. If you think your host doesn’t need a portion of the coaching, ask them to just humor you so that you can continue to give them uniform training. One of the most important things to educate your host on is their guest list and its importance. This is the key to the success of their show. Remind them that often 30 invites can go out and only one person will show. It’s vital to invite many, many, many! Three hundred invites might net you thirty people … maybe. But only inviting 10-20 people will not give much attendance, possibly none at all. The snacks are secondary. Whether it’s a bowl of chips or an impressive spread, the guests are coming for your product display. Munchies should not be any work for the host. Easier said than done, I know. Many host freak out over cleaning the house and having just the “right” food. If your host is wigging out, offer to bring a batch of cookies and you’ll even push the vacuum for them. Really, they needs to relax about the house. It is not a good idea to hold the party open for days (or longer). All the order collecting should be done prior to the party. If there happens to be some people who RSVP’d that they come to the party but did not show, or won’t have any money until after the date of the party, then don’t hold the party open for one person that may or may not come in. Instead flip them to be a host for another party. Remember each time you need to make another trip to the host it eats into your profit margin – in both time and gas. If you let your host know in advance to get advance orders, they will usually do what you tell them to. It is equally important that you remind your home, basket, and online party host what they are getting out of hosting the party; and that getting every item of their wish list for free is the goal for the party. The host should take an interest in getting people to attend. If the host does little to nothing to promote the party, the host will earn little to nothing. 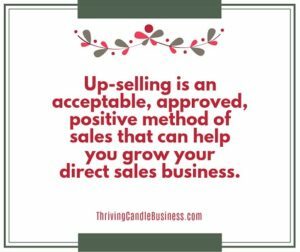 Effective coaching increases attendance, sales and your paycheck! 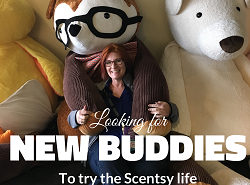 You’ve signed up to represent Scentsy; now you need to get ready for a successful launch party. An open house format will work best. This will be your official launch party for your new Scentsy business so you can showcase and roll out the entire line you will be selling. Referrals will be a wonderful tool in your business. If people don’t know about your offerings, they won’t be able to give your referrals. Start with a date. A: Erase that from your vocabulary. If someone agrees to host a party, they are agreeing that they will get a minimum of 200 PRV. They are agreeing that to get the host rewards, they will do their part in inviting guests, and promoting the online party link and talking with people to get the orders. It really isn’t hard to achieve the minimum amount IF the host and the consultant work together. People know more people than they think. You’d be amazed at how many people will share a link if you just ASK them. Whether they themselves buy or not, most will share your link on at least one of their social media platforms. Someone can take a book to work to collect orders. Someone will ask them mom, etc. What I sometimes see happen when parties have few orders is because of the way the invitation to host was originally suggested to the host. The consultant tries to get hosts who will do HER a favor by hosting a party. That’s backwards. When this happens, the host isn’t vested and won’t hustle to get orders. She’ll let the consultant do all the work. Whereas the consultant’s job is to facilitate and help the host get the orders. The consultant serves as a coach, guide, mentor to help the host achieve her goal. That’s where good host coaching and follow-up is vital. Decide and commit that the party WILL reach a minimum 200 PRV. You just may need to get out of your comfort zone to make it happen. 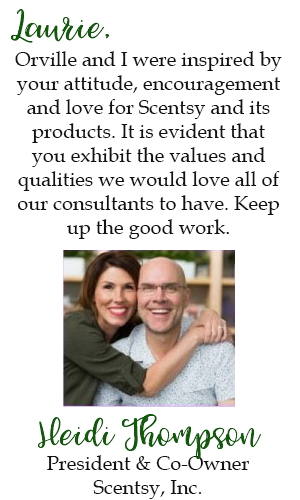 *Her and she referenced above could easily be Him and he … Scentsy is a family friendly business complete with male consultants, hosts and customers. p.s. If the party doesn’t reach the minimum you can’t close it out as a party. They’re just individual orders at that point so no host rewards are available. You can leave it open until it reaches 200 or enter them separately as individual orders and cancel the party.